Sometimes these headaches may be accompanied by other symptoms such as visual disturbance, vertigo, nausea, and dizziness. Car accidents can cause injuries, property damage, stress and can interrupt life. Some car accidents can leave you with a severe headache that refuses to go away. When you develop a headache after a car accident, you should try to find out the exact cause. Here are some things that might be responsible for your headache. If you experience a headache after an accident, seeking medical attention offers two benefits. The first is that a doctor will be able to correctly diagnose your injury and provide correct treatment so that long-term disability as a result of traumatic brain injury or whiplash can be avoided. Second, your legal rights to seek compensation for your injuries and losses are protected. If you seek immediate medical help for a headache after an accident, it becomes easy to attribute the cause of the headaches to the accident. The insurance company who is paying compensation is unable to deny your claim stating that something else other than the accident is causing the symptoms. You may have a muscle strain headache if you are experiencing severe pain at the base of your skull. This happens because muscle strain injuries such as whiplash cause pain in the neck, shoulders and, this causes strain in the head too. According to our St. Louis auto accident attorneys, car accidents can cause a lot of trauma to different parts of the body. This can cause post-traumatic headaches. Headaches that result from injuries to the head, neck, and shoulders can trigger a headache. Any pain or stiffness in these areas could be an indication that this is the cause. Most people do not experience a post-traumatic headache immediately following the crash. It normally develops after a week or more. If you experience a headache a few days after a car accident, you should not neglect it. Seek medical attention immediately and tell your doctor that you have been in a car accident recently. Car accidents can cause a pinched nerve in the spine. It can result in any of the nerves in the spinal cord disc being compressed during the crash. The nerve may be near the shoulders, hips or neck. Those who have spine or nerve conditions are at a higher risk of developing a pinched nerve headache. Some common symptoms of this kind of headache include tingling sensations, weakness in muscles and limbs, and burning pain. The more severe the pinched nerve is, the more severe the symptoms will be. Car accidents can cause concussions that can, in turn, cause headaches. A car accident concussion occurs when the impact of the collision causes the brain to collide with the skull. It is a type of TBI and can be very serious. The symptoms of a concussion may not be immediately evident, because they are generally masked by other injuries. Some common symptoms of a concussion include dizziness, confusion, nausea, drowsiness, ringing in the ears and vertigo. It can also cause memory loss, slurred speech, and unconsciousness. If you have any of these symptoms, get to the emergency room right away. Car accidents can also cause migraine headaches in people who have never had them before. Those who already suffer from migraines may not think that their headache has resulted from a car accident injury. It is therefore important to have any a headache after a car accident checked by a doctor. Symptoms of a migraine headache include sensitivity to sound and light, dizziness, inability to concentrate, nausea and vomiting. Car accident victims are advised to keep a record of their day to day activities, indicating how their capability of performing normal activities has changed after the accident. This can be shown before a jury if the claim for pain and suffering is contested. In a similar manner, a record of headaches must be kept. Keep a record of the date and time of the headaches, how long they last, the severity of each headache, and what makes them better or worse. This helps a doctor to diagnose the correct symptoms and provide the proper treatment. A record of headaches also helps in establishing the severity of the pain and suffering that you undergo and how it affects your day to day life. The pain and suffering clause provides compensation on the grounds of how your normal life prior to the accident has been affected. 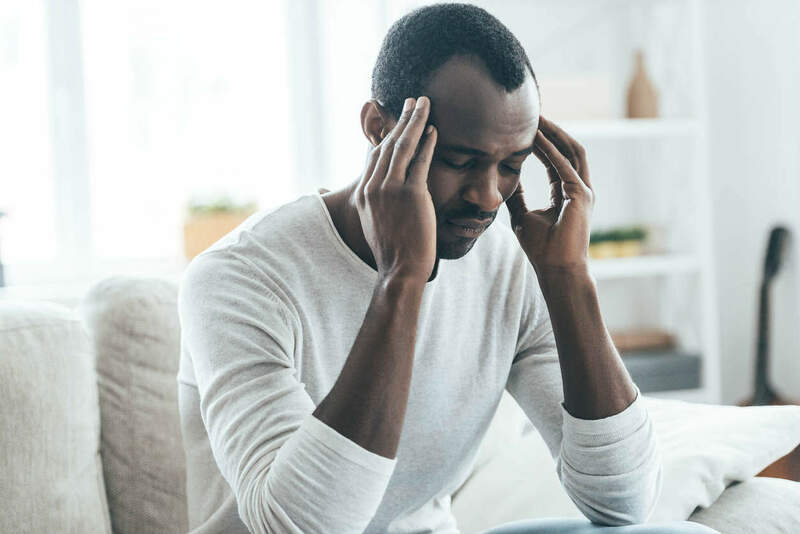 A record of the severity and duration of headaches along with the record of activities that you have to stop doing in order to reduce the headaches help in providing evidence during settlement negotiations and trials. The value of an injury claim based on headaches resulting from a car accident depends on various factors. Pain and suffering caused by headaches and other bodily injuries sustained in the accident. Expenditure on medical treatment of headaches and the underlying cause such as traumatic brain injury or whiplash. Loss of wages for the days that you are not able to go to work due to severe headaches. Change in lifestyle or loss of enjoyment, for example, if you had to give up certain hobbies and activities due to the headaches. If you are suffering from any kind of a headache after a car accident, you should protect your right to compensation by speaking to a St. Louis accident lawyer.